A Cloth Life: A New Button! In case you missed it (or follow strictly via RSS/email), I've added a new button to the top of the blog. 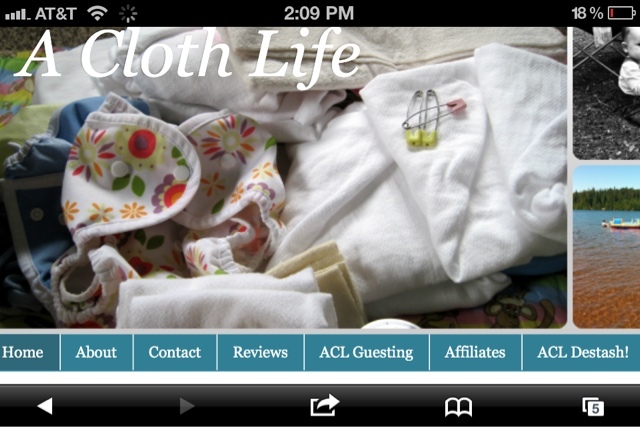 "ACL Destash" will take you directly to any current listings I have up on Cloth Diaper Trader. So if you're interested in buying some well loved fluff (or just curious what I'm getting rid of), please click that button or email me anytime!